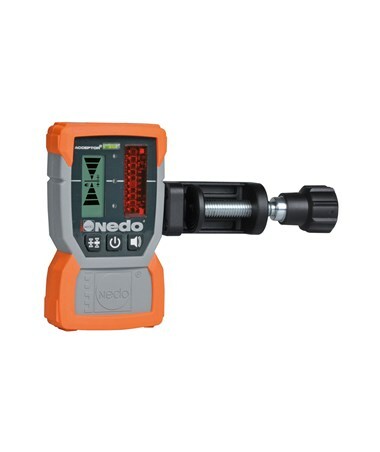 The Nedo Acceptor2 Laser Receiver with Rod Clamp is a ruggedized all-purpose laser receiver designed to withstand the tough demands of any construction site. It has a two accuracy modes - coarse and fine, and a large detector field. Its working range can reach of up to 1,800 feet depending on the laser. Alignment can be checked easily using the alignment bubble. It also has a large and bright LCD on the front and back, which lights green for on grade, red for too high, and orange for too low. This receiver is compatible with all rotating red lasers. Other features include an adjustable volume and a display of remaining battery power. 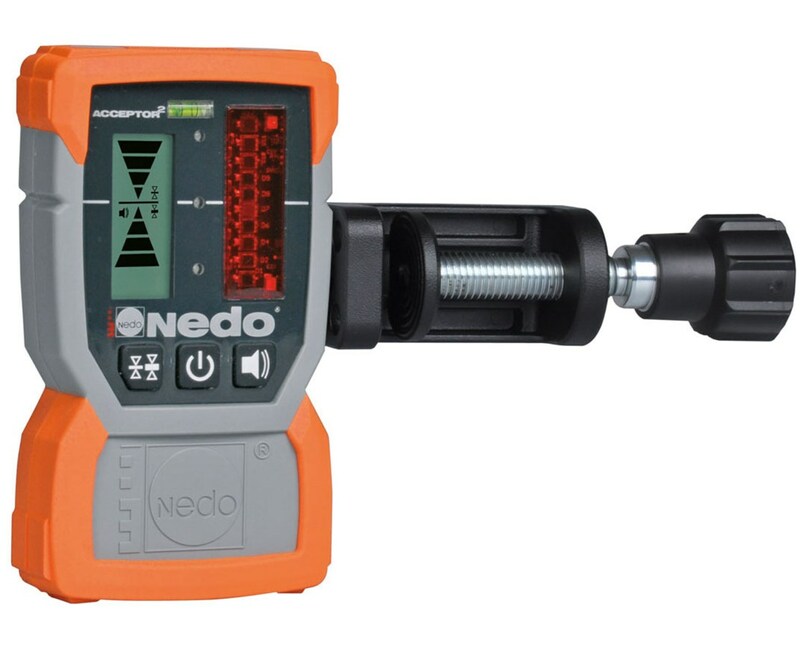 Strong built-in magnets allow this Nedo laser detector to be easily attached to girders and other steel structures. The patented design allows it to be placed flat against a wall without removing the clamp. The laser receiver's housing is extremely robust and has an IP67 waterproof rating.